It is that time of the year again. I am starting to get emails about where to go backpacking in March, April or even May while in Colorado. Will the high country be opened by then? And what would be a good place to go backpacking? And around September, I start getting the mirror image of these emails. First, let’s define “backpackable“. When people ask about backpacking conditions, they often mean not needing skis, snowshoes and/or technical equipment such as crampons or an ice axe. Having avalanche awareness is needed. In other words, having more than just 3+ season skills and equipment are mandatory. Winter can be a wonderful time to backpack, but the skill set and equipment needed is a bit different from what most people mean in the emails sent to me. So, when I say “backpackpable“, I mean for the 3+ season conditions that are optimum for the typical backpacker’s skill set and equipment. While the Lost Creek Wilderness is often the first area to be “backpackable” in the high country of Colorado, and often the last place as well, the months of March, April and even into mid-May often times is not a good time to backpack there. Utah or parts of New Mexico on the Colorado Plateau are always good choices. If anything, these places are better during the non-summer months. However, for a person living in Denver and surrounding areas, or flying into Denver, it may be more of a drive than is manageable esp with limited free time. 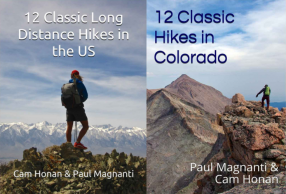 Here are some ideas in Colorado for backpacking in the off-season (shoulder season) for spring and late fall. All places where I’ve been. Depending on the amount of snow in a given year, some of these places may even be approachable in winter months as well. Some are a bit further of a drive than other places, but very manageable for a weekend if leaving Friday afternoon after work and don’t mind coming back a little bit later on Sunday. Located near Canon City, this roughly 16 mile trip is nice in the early Spring or the late Fall. Beautiful scenery, not too far of a drive and a rare foothill area in the Front Range that is open for backpacking and camping. The approach is road is rough , so if the conditions are wet and muddy, the drive may be difficult. Located outside Grand Junction and Fruita, CO, this small national monument is a little gem. Red rocks, canyons , beautiful wildflowers in the spring and even desert bighorn above on the canyon walls. Truthfully, this area is more of a car camping area with some nice day hikes. But backcountry permits are issued for free. And an enterprising person can easily string together their own loop in the CNM. 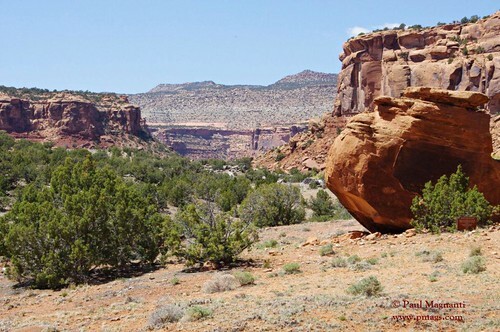 Located east of Grand Junction, this area has nice canyons, a network of trails and sparsely used jeep roads. Wild horses populate this area. Day hiking usage is higher than backpacking usage. Good chance you’ll have the backcountry to yourself. Located towards the edge the Colorado Plateau, this area offers both quick “out and backs” into the lower canyons and more ambitious 30+ mile trips with trickier navigation. The “out and back” options offers scenic creeks, petroglyphs, and wonderful canyon topography. 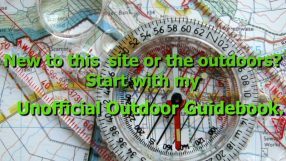 The 30+ mile version should only be done if you have decent navigation skills and a good map. The McInnis Canyons National Conservation Area is actually made up of a few different recreation units (the Black Ridge Canyon Wilderness being among the most well-known). Within this area, both simple loop trips can be done and “out and backs” as well. But for the experienced backpacker, with some cross-country travel, a little non-technical scrambling and/or mixing in some jeep road walking, some larger loops and interesting treks are available. A bit of a cheat as I’ve only car camped here. 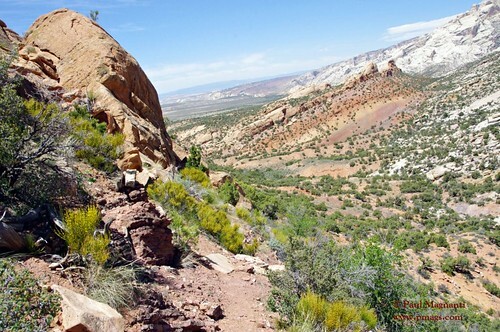 However, DNM is said to have some extremely beautiful and remote feeling backcountry that is off the beaten path. From what I’ve seen, the backcountry areas of DNM look beautiful. For an experienced and adventurous backpacker, this area looks intriguing. Good maps and proficient navigation skills are needed to explore this area. In the late fall or early spring, Golden Gate Canyon could be a mellow backpack if someone absolutely wants a night out or a perfect family backpack. Very close to Denver but feels surprisingly remote at times. The park is not overly busy for camping at late or early season. The wildflowers are blooming in spring, and some of the best aspen scenery I’ve seen really pops out in October. Backcountry campsites are available as well as Appalachian Trail style lean-tos. A person could put together a 30+ mile loop hike (with some minimum out and back). A very good way to shake the rust out from the winter. Some ideas. 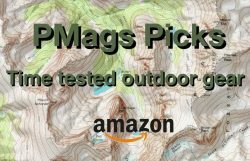 Grab the appropriate map, plot out a route for your skill level and have some fun in Colorado when there is snow in the high country, but the backcountry still calls. UPDATE 2018: And here are five more ideas for places to explore.